Since 1976, our mission has been to cure childhood cancer and related blood disorders by providing funding for research. To those who are new to the non-profit world, this mission can seem like a daunting and overwhelming task. However, there are a variety of ways that you can get involved and help us to achieve our goal, one step at a time. 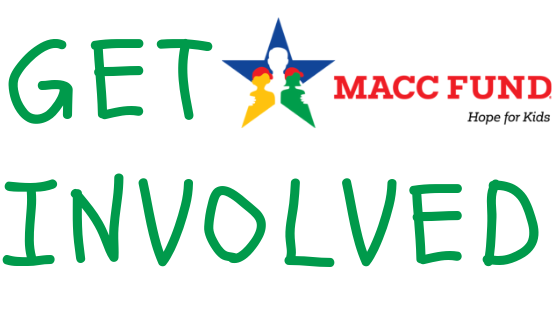 Each year, the MACC Fund team participates in a variety of events, such as the Brewers Mini Marathon, Trek 100 Ride for Hope, and Candy Cane Lane, all of which offer opportunities for individuals like you to get involved. You can run for a great cause, cheer on the bikers at the annual Trek 100, or support any of our various golf outings. You’ll back a good cause and have a great time doing it! Over the years, the MACC Fund has grown to include so many wonderful donors, participants, sponsors and volunteers. Any help with our existing events is always appreciated but creating a DIY fundraiser is also an option. Hosting your own event can be a lot of time and effort, but it’s equally rewarding. And our team is always here to offer whatever support we can! If you find you have a little extra time on your hands, we always appreciate those who volunteer and donate their time to our mission. Our events would not be possible without volunteer support. We are grateful to you for lending your time to the MACC Fund! Perhaps you’re at a point in life where you don’t have a ton of extra time to volunteer or attend events, and that’s okay! We understand that people have their own lives, jobs, and children they want to spend time with. However, it’s still possible to support the MACC Fund with a financial contribution, which takes almost no time at all! Medical breakthroughs and scientific advancements, like the recent CLR 131 trials, are possible because of the support of donors like you. Every dollar puts us one step closer to curing childhood cancer and related blood disorders forever. The battle to cure childhood cancer is far from over; we still have plenty of work to do. The overall cure rate for children with childhood cancer is at 80%; help us make it to 100%!